In the situation we need to utilize the zimbra MySQL database server in order to host other databases, we may need to know what is the root password for MySQL. The following command will help you to find and display MySQL root password. These command has been tested on Zimbra 8.0.7 thas was running on CentOS 6.5 operating system. -c,--config    File in which configuration is stored. -d,--default        Show default values for keys listed in [args]. -h,--help           Show this usage information. -i,--info           Show documentation for keys listed in [args]. -p,--path           Show which configuration file will be used. -s,--show           Force display of password strings. Zimbra Collaboration Server (ZCS) Open Source Edition is available for us to test and install. The latest version ZCS 8.0.6 has been released. There are several issues and security fix has been addressed on this ZCS 8.0.6 release. This post describes the steps to upgrade existing ZCS 8.0.5 to ZCS 8.0.6 on CentOS 6.5 64 bit. It is advisable to review the Known Issues section for a list of outstanding issues in this release before upgrading. -License updates are applied to all servers. -Birthday and anniversary dates display correctly in the Zimbra Web Client, regardless of the language setting. -Tagged items that are shared display correctly. -Work week displays correctly in calendar view. -In a multi-server environment that has both master and replicas, the zmprov -l option falls back to the replica if the master is down. To protect customers as they plan to apply this update, this bug is marked as private in our system and technical details are not publicly available. Release 8.0.5_GA_5839.RHEL6_64_20130910123908 RHEL6_64 FOSS edition. 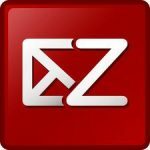 ZCS upgrade from 8.0.5 to 8.0.6 will be performed. Updating global config and COS's with attributes introduced after 8.0.5_GA...done. 5. As per Release Notes for ZCS 8.0.6, please run zmldapupgrade -b 66387 after upgrading.